Brian over at Cool and Collected has started a new movement. It’s a group of blogs coming together each week to discuss one topic. Brian will hand out the assignments and the blogs will discuss the topic as they see fit. Brian has dubbed it The League of Extraordinary Bloggers. I pledged to him that I would join in when I can, and seeing as how for once I’m actually way ahead on my own writing I’ve decided to jump in on our first assignment. This first assignment was to discuss our “go to” movie. A movie we could watch at any time. Just pop it in, curl up on the sofa with an industrial sized bag of Cheetos and start quoting along with the movie. Mine is probably not going to be a shock to anyone who has read this blog for any amount of time. And I hate to keep going back to “the well” on this, but I have to answer truthfully. On any given weekend, since I was a kid, there are two things I’d pop into the VCR at a moment’s notice depending on how I was feeling that day. The first was Back to the Future. There is hardly an aspect of this trilogy I have yet to discuss. Check out my Back to the Future archives. Articles galore. The Nerd Lunch crew did an entire podcast discussing the Back to the Future movies and another one on just the topic of time travel. It’s because I’ve seen this movie so many times and know it like the back of my hand that I can talk so often about it. I love this movie. It kindled my love for time travel. 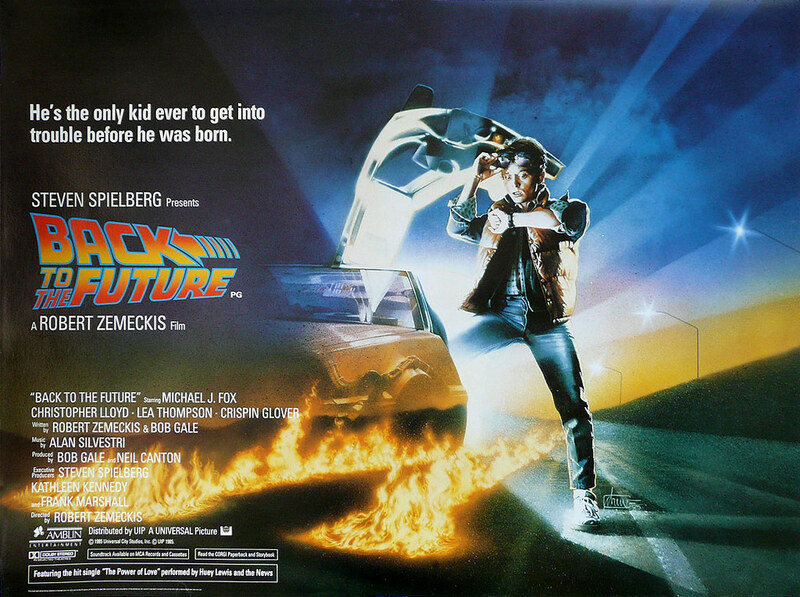 The first movie I took my son to when he was literally 1 month and 5 days old was the limited 25th anniversary showing of the original Back to the Future on Oct 25, 2010. I pretty much recited the dialog throughout the entire movie while he slept. So yes, this is definitely a “go to” movie for me. I could probably put the entire trilogy in here as I love all three movies, but I watched the original many more times. Mostly due to the fact that Part II didn’t show up until four years later. So I had time to just load up on repeated Back to the Future viewings. And I own this trilogy on all media formats including VHS, Laserdisc, DVD and Blu-Ray. 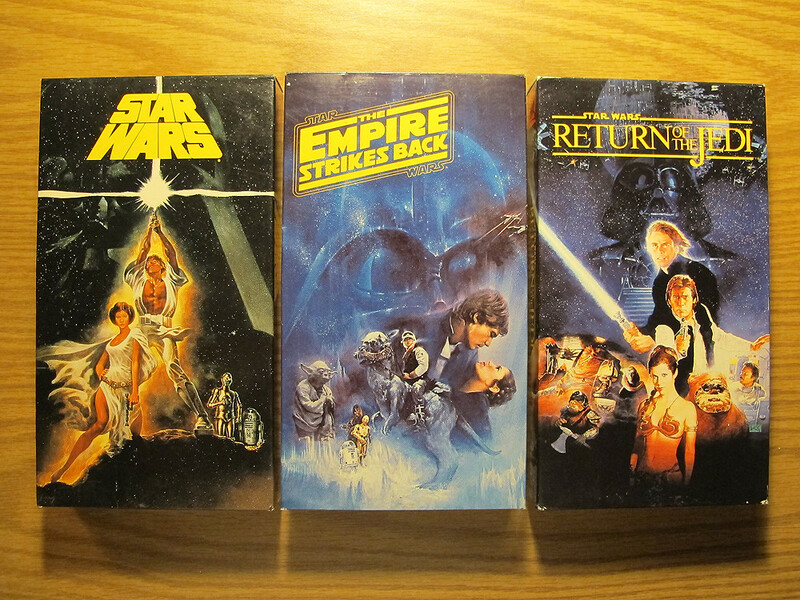 The second thing I’d pop into my VCR on any given weekend and have on in the background is the Star Wars Trilogy. Most especially the original VHS releases. It doesn’t matter which one, I consider them all to be one movie. And I have this movie trilogy on nearly every format including VHS (multiple versions), Laserdisc, Video CD and DVD. On any given day my favorite is different. I love all three. Since college, I could pop on a Back to the Future or Star Wars movie and have it running in the background for hours while I worked on school projects, surfed the Internet or just hung out at home. They are hands down my two favorite movie trilogies. Possibly even my favorite movies of all time. I even own the deluxe film score to the Back to the Future trilogy as well as the 4 disc Star Wars Trilogy Soundtrack Anthology. I would sometimes put these on in the background while doing homework or working on chores around the house. 1. Shawn Robare at Branded in the 80s talks about Red Dawn. 2. Christopher Tupa talks about one of my favorites, The Goonies. 3. Siftin’ talks about watching Superman II more times than even I have seen it. And that’s a lot. This entry was posted on February 9, 2012 at 2:06 pm and is filed under Back to the Future, movies, pop culture, Star Wars with tags Back to the Future, LEB, movies, pop culture, Star Wars. You can follow any responses to this entry through the RSS 2.0 feed. You can skip to the end and leave a response. Pinging is currently not allowed. Yeah, Shawn, I too have a soft, warm spot for Jedi. I think Jedi Luke is my favorite character. There’s a lot in Jedi that’s goofy and I go back and forth on whether they should have shown Vader’s face, but all the awesome stuff like The Emporer, Jedi Luke, Everything with Jabba. It was just great. I can’t wait to watch Back to the Future with my kids, but the scene with Biff forcing his way on Marty’s mom keeps holding me back. I’m not sure how to explain what’s going on, because there WILL be questions. 😉 Great pick!